Automatic cutter, compact, fast and easy to use for mass production. 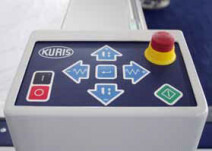 For cutting fabric, knitwear, technical textiles and special materials. 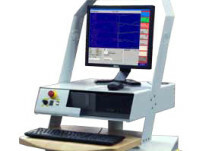 These kinds of materials offer the customizing flexibility and options of the machine. 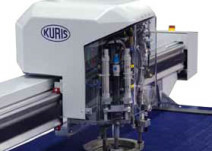 Compact system, easy to use, with a performance above average and excellent cutting quality. The increasing benefits and speed allow its multi-purpose use in industrial series production. The strong point of Texcut C1414 is the economic mass production, but also small batch quantity can be produced without considerable changing of hardware. Innovative technology, along with an attractive quality-price ratio, speaks in favour of its installation. Texcut C1414, being compact and reduced in dimensions, is ideal for professionals as well as for beginners. 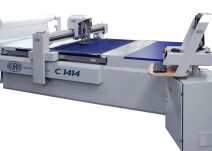 Texcut C1414 offers significant benefits, combining productivity, flexibility, large working space with reduced overall dimensions, high productive quality and a low price.